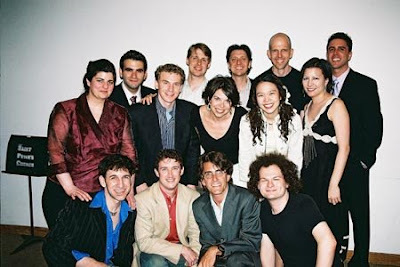 PICTURED: (Top Row) Joe Iconis, Sam Davis, Neil Bartram, Jeff Blumenkrantz, Scott Alan. (Middle Row) Barbara Anselmi, Adam Overett, Jill Abramovitz, Joy Son, Deborah Abramson. (Bottom Row) David Austin, Andrew Gerle, Sean Hartley, Eli Bolin. Adam plays all performanes of THE LIGHT IN THE PIAZZA June 6-11, in the roles usually played by David Bonanno.